The RPW 2016 challenge could be completed on Saturday itself. 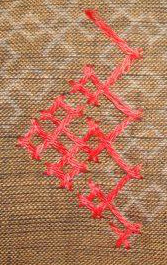 The link to the posts related to knotted feather stitch, this week’s stitch on TAST challenge, which was worked in 2013 was added to the TAST FB group . 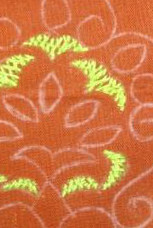 A small motif in the centre is being worked first. 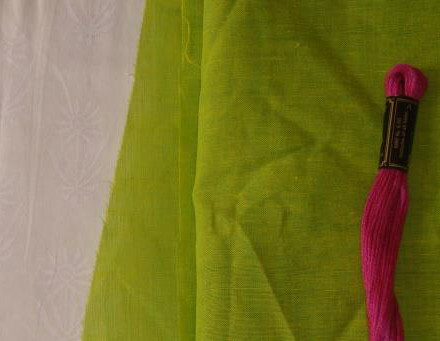 I would like to share a tip which I used to copy the design on the green fabric. 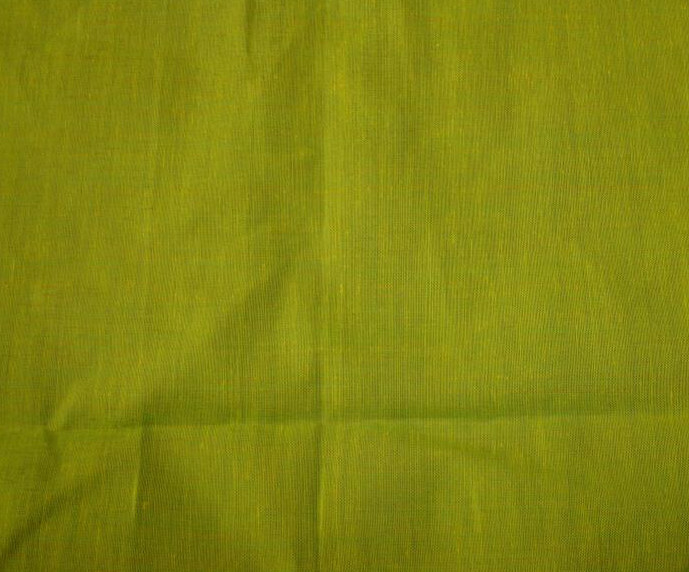 The white and yellow carbons were too light to be used on green. Red carbon would leave lots red and working with white thread, red was clearly out of question. 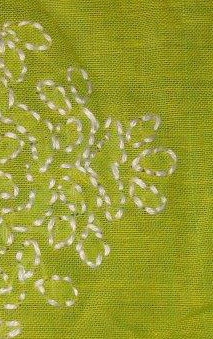 After darkening the design with black pen, when the green fabric was positioned onto the design, the fabric being semi see-through, it was easier to draw on the fabric with a pencil. This design being chikan work/ shadow work also helped. 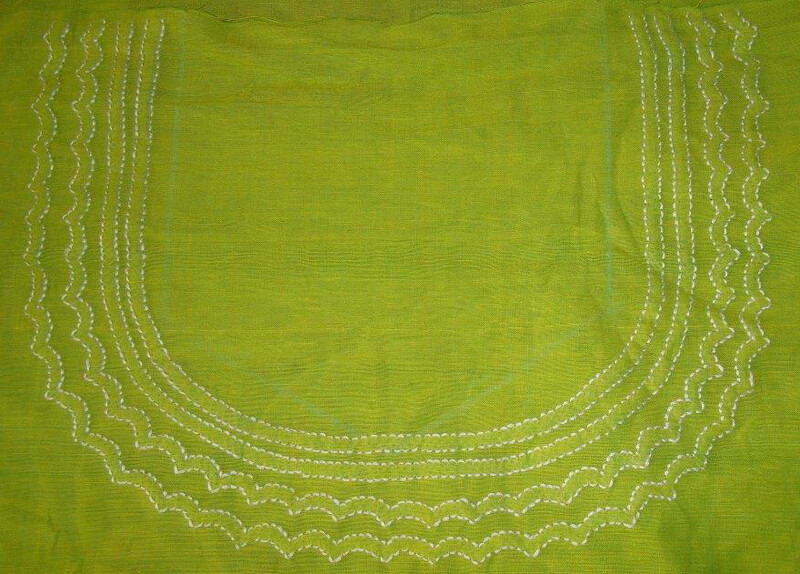 The whole pattern was drawn on the wrong side of the fabric. 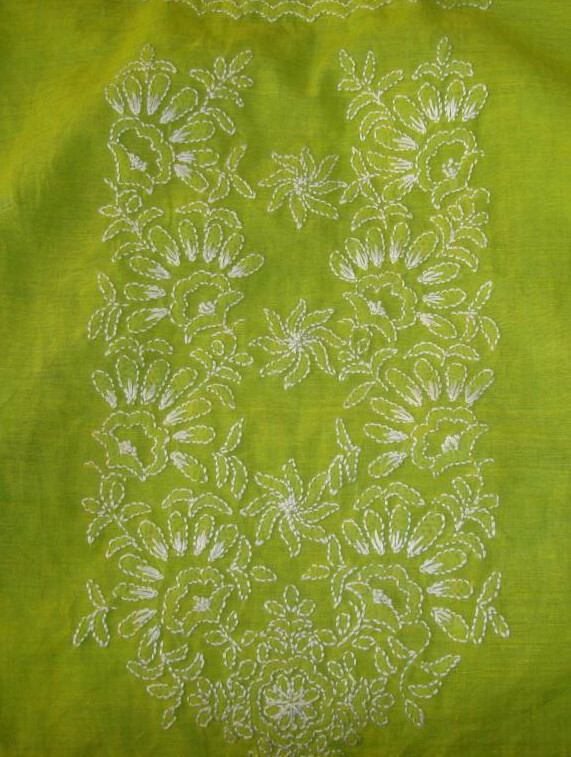 Marash embroidery on cream tunic with kalamkari patch. 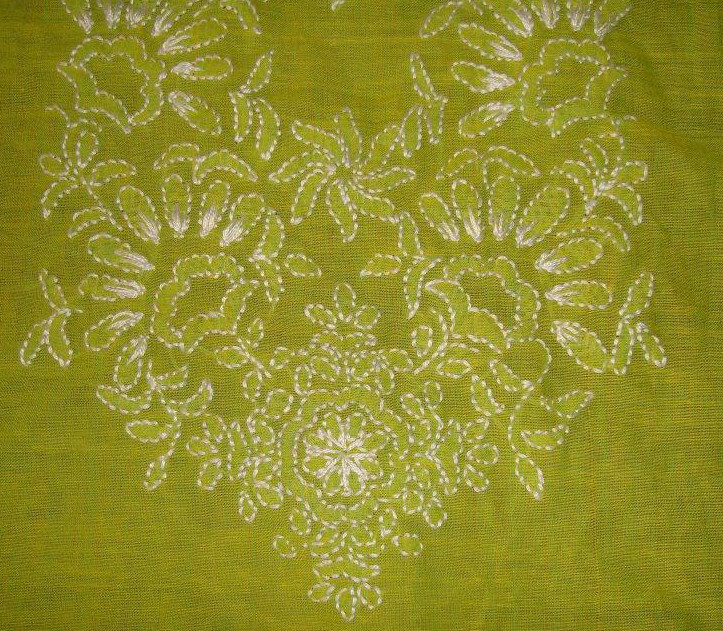 After working for some time on chikan embroidery. 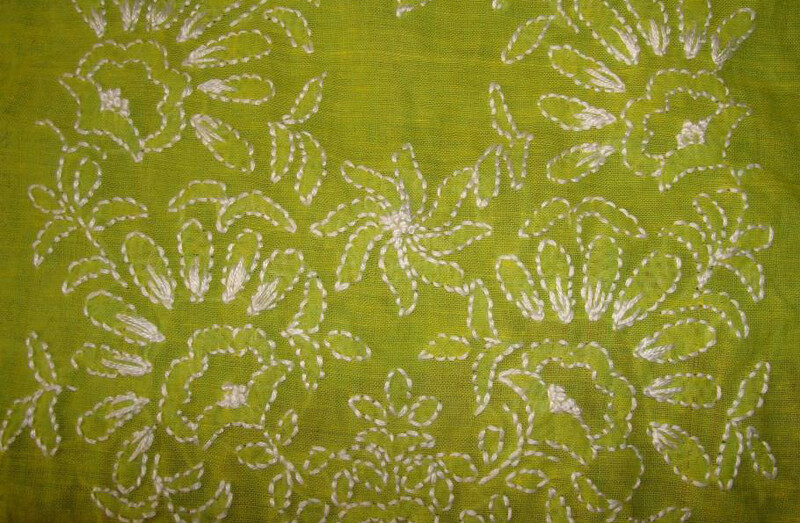 The Kutch/ Marash embroidery motifs were copied on to the brown fabric. It definitely took a while to complete this work. This is the first phase. 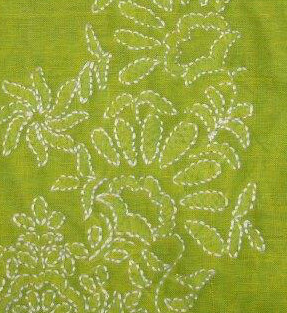 After working the embroidery on the brown fabric, this embroidered piece, the cream tunic fabric and the kalamkari fabric patch will be given to the tailor, who would have to mark the neck and the sleeves on the cream fabric. Then the second phase will start. 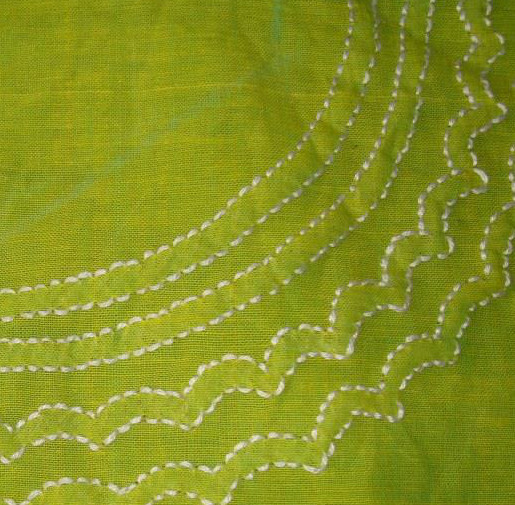 A small teaser of the Kutch/Marash design for this tunic. 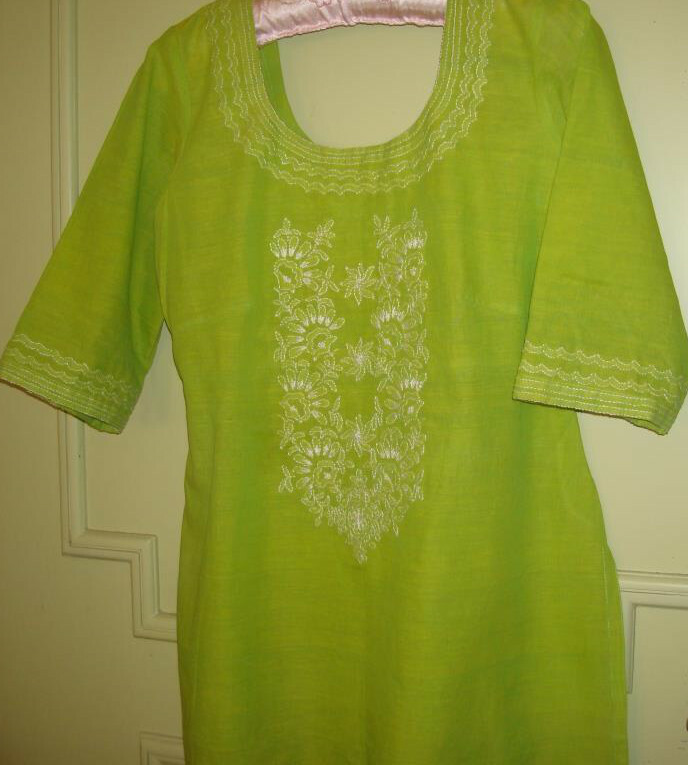 The drawing of borders on sleeves and the tunic front on 2mm graph paper was completed for this white printed tunic. 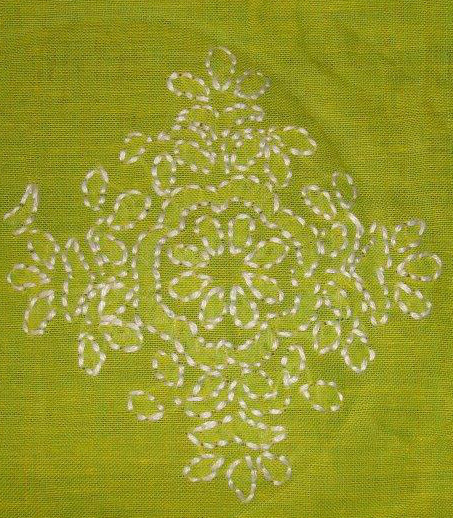 The idea is to work embroidery on green fabric with this thread. 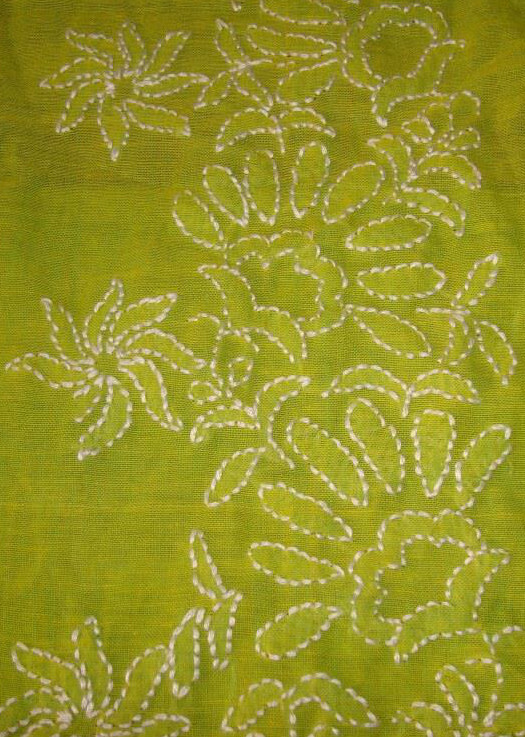 Two of my friends are interested in hand embroidery. 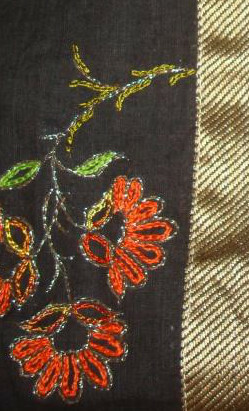 Some embroidery design engineering was in progress this week for their respective projects. More details next week. The RPW 2016 weekly chart was completed on Saturday evening. This week’s TAST challenge is chained cross stitch. The link to the samples are posted on FB TAST group page. 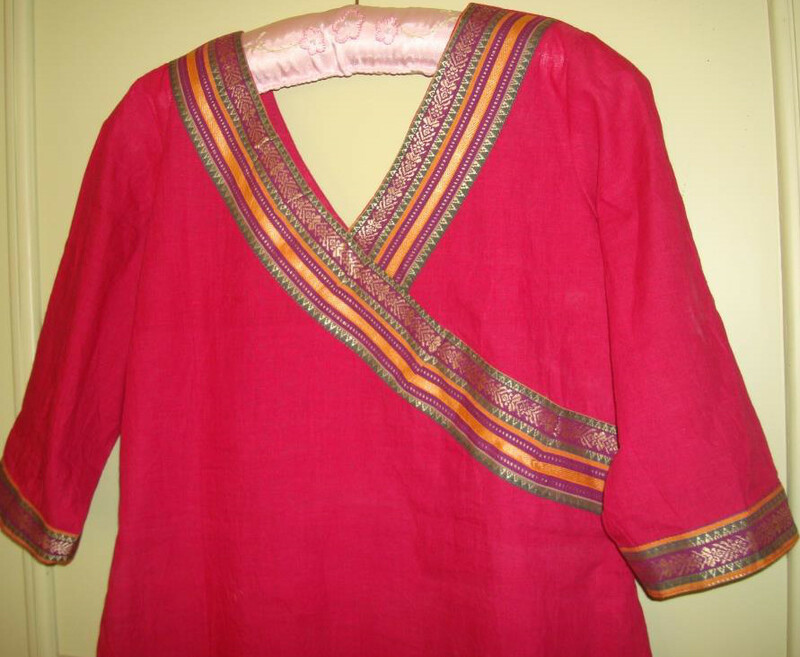 Small round mirrors were attached to the embroidery on this tunic and is ready to go to the tailor. Drawing was completed for the first project. 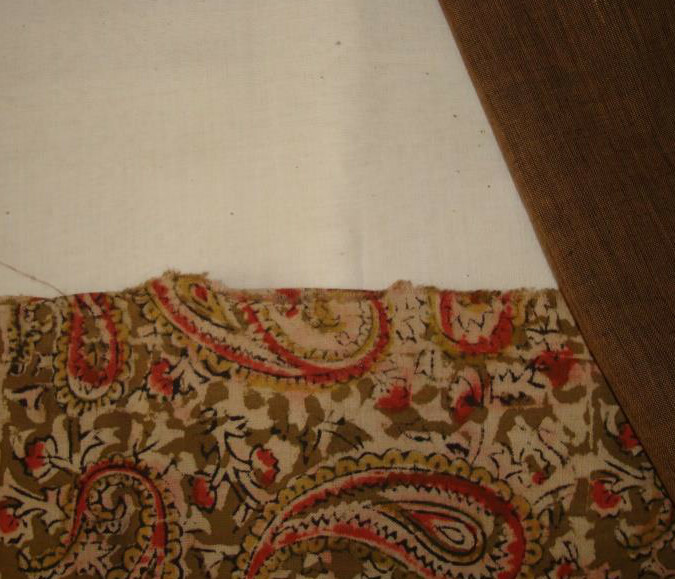 The three part design is for a cream tunic with the hemline in brown fabric and a kalamkari patch. The first part which is the hemline, is to work on the brown fabric, the other two parts are for the tunic front and sleeves. 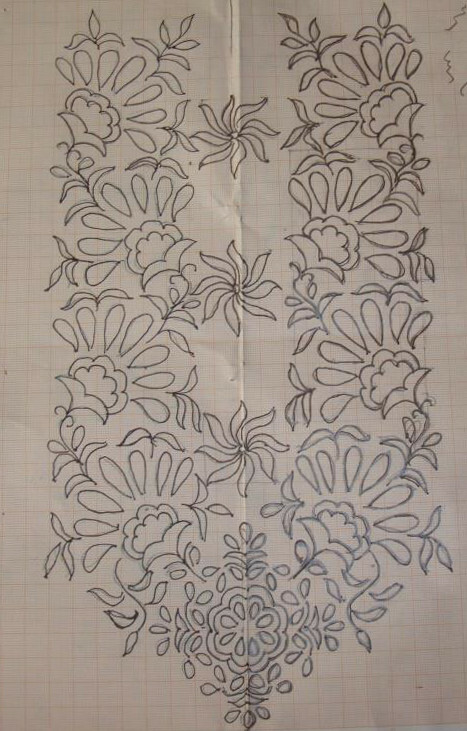 The drawing for the next project consist of borders on sleeves and tunic front. More details on the next post.